Not a picture perfect way to end the week for Xerox. A New York Judge late Friday issued an order temporarily blocking Xerox Corp.'s (XRX - Get Report) plan to merge with Fujifilm. At the same time, the judge gave the document technology company's third-largest shareholder permission to move ahead with a change-of-control proxy contest to take over Xerox's board. Xerox and Fujifilm in January agreed to a deal that would give the Japanese imaging, photography, and technology company 50.1% control of the combined business. Under the terms of the agreement, Xerox shareholders would receive a $2.5 billion special cash dividend, or about $9.80 a share, funded from the combined company's balance sheet, and own 49.9% of the combined company at closing. In addition, Xerox's CEO, Jeff Jacobson, could retain the role of CEO of the combined company. But, billionaire raider-turned activist investor Carl Icahn and Xerox's third-largest shareholder, Darwin Deason, filed a lawsuit and launched a director-election battle to remove Jacobson. 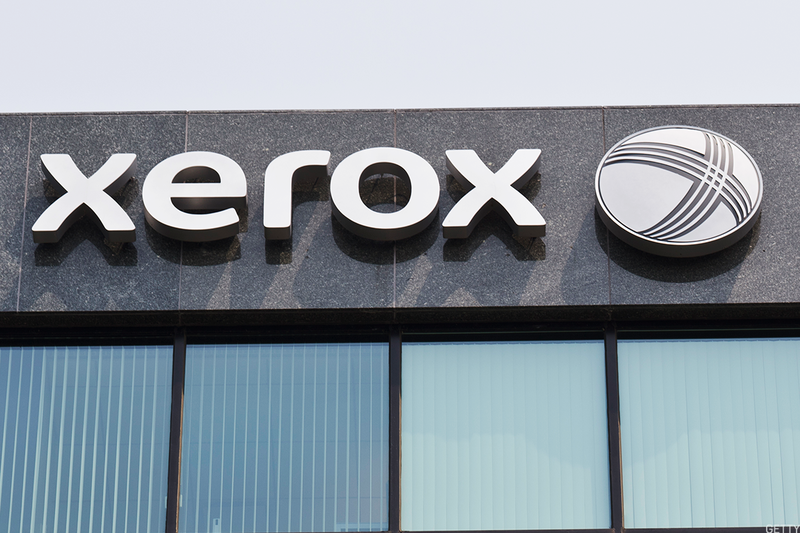 The dynamic duo argues Jacobson hasn't done a good job and has sought to entrench himself with the acquisition structure that they insist hurts Xerox shareholders. The judge, Barry Ostrager, in an order obtained by TheStreet, said the facts "clearly show that Jacobson, having been told on Nov. 10 that the board was actively seeking a new CEO to replace him, was hopelessly conflicted during his negotiations of a strategic acquisition transaction that would result in a combined entity of which he would be CEO." The ruling temporarily prohibits the deal from moving forward until a final ruling is made in Deason's lawsuit. "The motions by plaintiffs in .. Deason v. Fujifilm for injunctive relief are granted to the extent of enjoining defendants from taking any further action to consummate the change of control transaction between Xerox and Fuji.. pending a final determination of the claims asserted in the underlying action..," the order said. Not a good way to end the week for Xerox. Deason's lawsuit both sought to block the deal and at the same time, allow him to put up a change-of-control slate of director candidates up for election even though the nomination deadline has passed. Ostrager, of the Supreme Court of the State of New York County, said Deason should be allowed to nominate his slate. In a statement Deason said he is grateful the court acted to protect Xerox shareholders. "Beyond that, we still have a lot of value to create at Xerox and I intend to focus my efforts there," Deason said. In a statement, Fujifilm said that they disagree with and are disappointed by the Judge's ruling. "We strongly believe that all Xerox shareholders should be able to decide for themselves the operational, financial, and strategic merits of the transaction. We believe the record shows that Fujifilm negotiated with Xerox at arm's length to create a transaction combining Xerox and Fuji Xerox that is the only option to provide shareholders of both companies with exceptional short- and long-term value. We are considering all options, including whether to appeal the decision," Fujifilm said. The move comes after Xerox earlier Friday confirmed that it has reentered into discussions with Fujifilm about a "potential increase in consideration" following a merger the two companies announced in January, a move that has emerged in the midst of the shareholder litigation. "Consistent with its commitment to shareholder engagement, Xerox has been meeting with shareholders since the announcement of the transaction," said Xerox spokesman Carl Langsenkamp. "Xerox has listened to their input and carefully considered their views. There can be no assurance that these discussions will result in any amendment to the transaction agreement between the parties." The order follows two days of oral arguments in the Supreme Court of the State of New York County. On day one, Xerox Chairman Robert Keegan told the courtroom that they have reopened talks about their merger, according to people familiar with the situation. The talks re-emerge after Icahn and Deason earlier this month stepped up their litigation strategy to block the document technology company's merger with Fujifilm by issuing a revised complaint suggesting that the Japanese imaging and photography firm had preferred to do a full buyout of the firm rather than the deal that was ultimately structured. The complaint also includes a provision from a December 2017 letter written by Xerox independent director Cheryl Krongard, where she called Jacobson a "rogue executive" who ignored the technology company's board request not to negotiate a deal with Fuji. A statement Xerox issued in response to the revised complaint said Jacobson has always conducted himself with "the utmost integrity as CEO and in negotiations with Fujifilm." The document technology company added that at "no point did he exceed the authority granted to him by the board's chairman or the full board." Also, Xerox noted that Krongard stated that after sending Keegan the letter expressing concern about Jacobson's conduct that she became aware that the CEO had previously received the "express permission" of chairman Keegan to negotiate with FujiFilm. King & Spalding LLP partners James Woolery, Rob Leclerc and associates Matt Saur and Jonathan Wu in New York are advising Deason on the Xerox campaign.